With much of the Department of the Interior shut down, we have had many questions about preparations for the upcoming lease sale. Although BOEM has plans to exempt more employees to release the Final Notice of Sale if the shutdown has not ended next week (details here), we would like to run down some options for planning before any future sales. 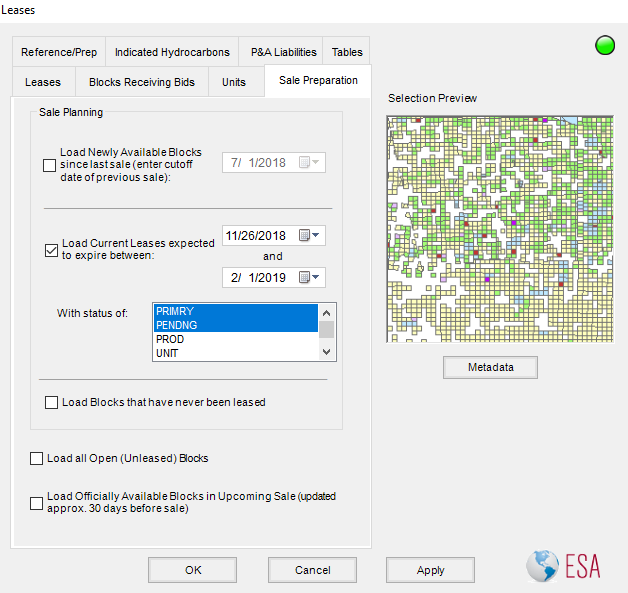 In ArcMap, the Sale Preparation tab of the Leases window (when choosing GOM-Cubed->Map Layers) is the prime location to begin plans for lease sales. Once the Final Notice of Sale data is complete it can be loaded here. But even before that, a set of all unleased blocks can be loaded as well. And just as importantly, it's possible to load those blocks that have become available for the first time since the previous sale, as well as those that are expected to expire before the next sale. The second checkbox loads the blocks that are expected to become available before the next sale because the primary term is ending. 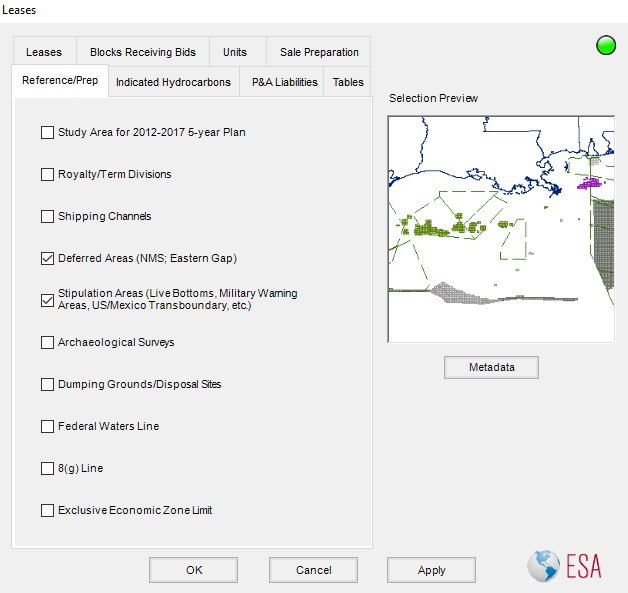 The date range should be set to encompass some time in the past for lags in BOEM's processing of lease paperwork. The end date should be the approximate cutoff for the upcoming sale. It should be noted, given the dates below, there are only a handful of primary term leases set to expire before February 1st, all of them on January 31st, and the likelihood of those being available in the next sale is probably fairly low. Both of these options, especially the second, can be used for sales farther into the future as well simply by changing the dates involved. 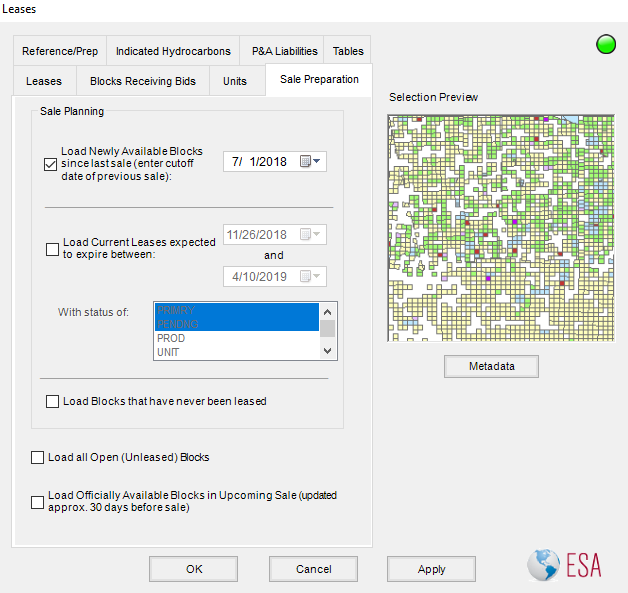 It should also be noted that the next tab, Reference/Prep, contains many more datasets that could influence bidding considerations including a number of stipulations, deferred blocks, fairways and many more. 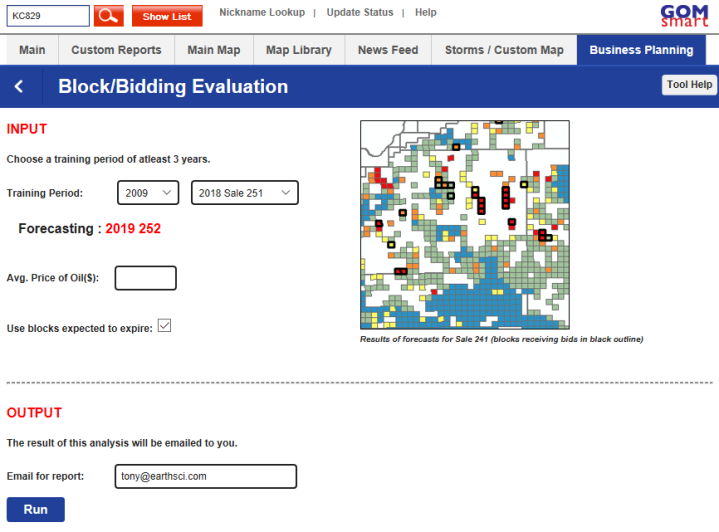 Of course, for those of you with the Business Planning Add-on to GOM3, the Bidding Evaluation portion incorporates all of these details and more, integrating past bidding behavior by all companies to generate the likelihood of each company bidding on a particular block. It should be noted that once the official list of blocks is released, those will be evaluated rather than the predicted set of blocks. And remember that when you are forecasting an upcoming sale, you'll need to enter your own price of oil (as that is one of the many variables that influences each company differently). 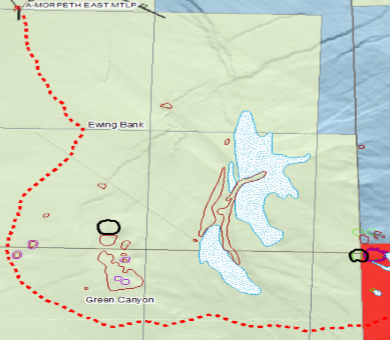 And finally, the accessibility of a prospect from a development perspective may also affect bidding, so the Tie-back tool, which evaluates pipeline routes based on sea floor bathymetry and hazards, can also be used when preparing for an upcoming sale. For a list of past newsletters, click here. © 2016 GOM3. All rights reserved.